I recently purchased this great pizza cutter from Bed Bath & Beyond. 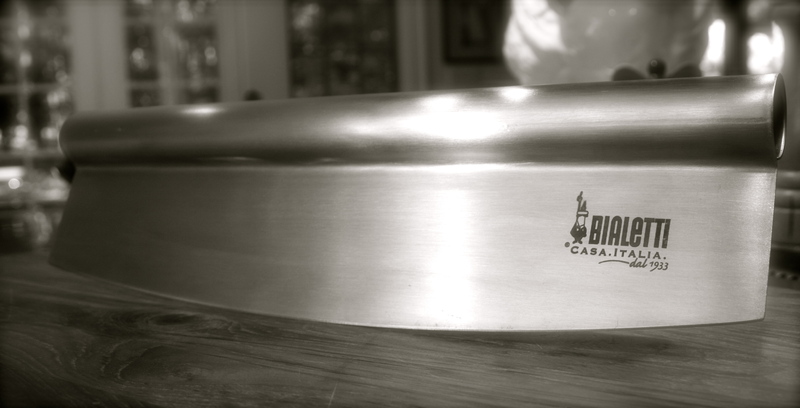 The Bialetti Pizza Chopper made of Stainless Steel, measures 14″ across. Wide enough to slice your homemade pizza perfectly. I prefer this to a traditional pizza cutter. It’s easier to use and is pretty impressive looking too! Definitely worth the $9.99.